The first from Virus-Tormentor in this list! He mentions that he used Prismacolors for this piece. Isn't it amazing how realistic the hair and features of her face turned out? I personally love how he handled the light and shadow in her hair and on her face and neck, he does a brilliant job leading the eye around! Check out how the eyes look and then see if you can spot the earrings she's wearing! This piece was painted with watercolor and ink, isn't it amazing how he put this character together? I'll be honest, I was staring at those wings and the lightning going between them for the longest time until I realized that yes, she does seem to be some type of robot. XD I love details that can keep me so distracted! 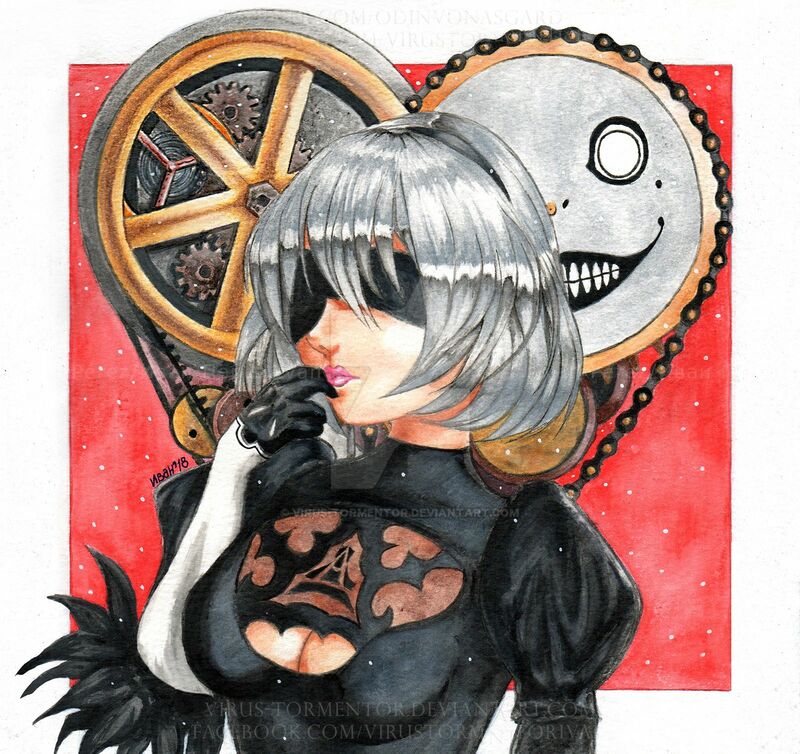 This watercolor piece is a Fanart drawing of YoRHa No. 2 Type B from the game NieR: Automata. The details on this piece have certainly gotten my attention again; look at the gears in the right side of the 'heart' behind the character! And who can miss the face on the left side? Now, to the character herself. I have no idea why she seems to be blindfolded but the darkness there seems to help the light color of her hair bounce forward. And are those feathers on the elbow that we see? If you like these pieces, do yourself a favor and check out his gallery! You will not be disappointed!